The changing leaves are beautiful this time of year. But what do you do with all of them once they hit the ground? Keep them there – with a hearty compost project. 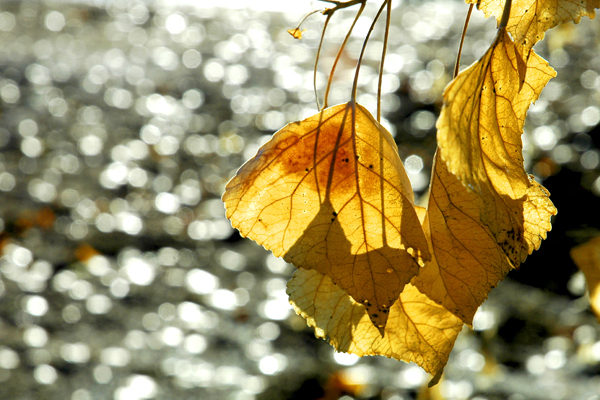 – Leave the leaves! They’re the best ingredient in composting because they’re easy to incorporate and carbon-rich. You can also enjoy their color a little longer – wait until they turn brown to put them in your compost pile. Don’t worry about getting all of your leaves in your compost pile – some leaves, left under trees and shrubs, will naturally compost themselves. You can always save some for future composting. – Mow your lawn. Keep grass clippings to add to your pile – they provide the nitrogen needed as a compost activator. – Save the annuals. The plants in your vegetable garden that are no longer bearing bounty can be trimmed back and added to your compost. Just chop the big ones up first – no need to add the root mass. – Cover up! Your compost pile should be moist but not soaking wet. Cover your pile with a tarp to shield extra rain or moisture that could come your way. It also deters pesky critters, like raccoons and mice, from getting in to take a closer look. – Keep the worms. Naturally, you may have earthrooms taking up space in your compost pile. No need to worry; in fact, these critters are ones that can help. They leave behind worm castings while decomposing contents into organic compost. There’s actually a whole system that exists – called vermiculture – where you can create worm farms for composting. The best thing to keep in mind is that there’s never too much material to use. You can pile it on, or save it – it’s your choice. 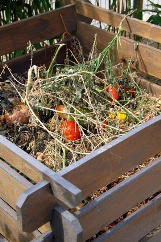 For more details on composting and waste reduction, read our blog How to reduce household waste. Do you have any tricks and tips on composting?